Do you know someone who is having a baby? Would you love to introduce them to cloth diapering without being too pushy? My “go-to” baby shower gift these days is very simple and costs less than $30 (unlike my elaborate cloth diaper baby gift basket that was almost $300). Contents: One bumGenius 4.0 one-size cloth diaper PLUS one copy of Changing Diapers, the Hip Moms Guide to Modern Cloth Diapers. I keep a few of these books on hand to give as gifts to all my pregnant friends. By adding one simple cloth diaper it allows them to touch and feel my favorite diaper before they decide if cloth diapering is for them. Would you have loved a simple gift like this? 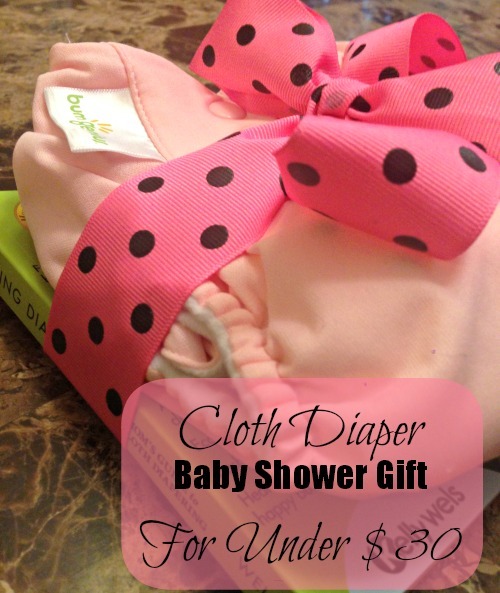 Did you get any cloth diapers as gifts when you were pregnant? Leave a comment below and tell me all about it.